Providing the people you need when you need them – cheaper than non-members. Your membership gives you highly skilled, experienced, reputable and fully insured farm services 10% cheaper* than non-members, plus the added security of emergency services if required. 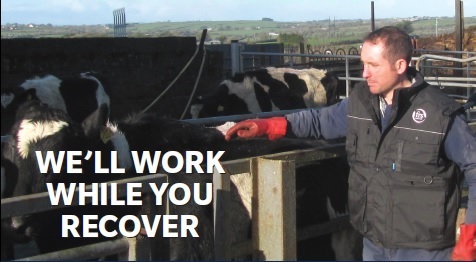 We know how important it is for your farm to continue working even when you are unable to work it. The SICKNESS & ACCIDENT SUPPORT provides you with the safeguard of frs to keep the farm on track while you get back on your feet. Use of frs operator in the event of incapacitation for up to 12 weeks, excluding the first week, which must be provided by frs and paid by the member. Farm services at 25% of normal cost (i.e. 75% off) subject to max benefit of €500 (inclusive of VAT) per week. We acknowledge the many dangers associated with farming and under your membership with us we provide you with DEATH & CAPITAL BENEFIT.